AMC Theatres is spending the holidays with its AMC Stubs A-List family; a family that is growing by leaps and bounds every day. Six months to the day that the A-List launched, AMC is excited to announce the program has surpassed more than 600,000 members. Up to three movies per week, in every available AMC showtime and format, including IMAX at AMC, Dolby Cinema at AMC, RealD 3D and Prime at AMC. 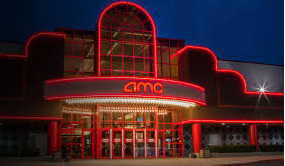 AMC Theatres introduced A-List on June 26, 2018 and at the time, the Company expected to hit 500,000 members only a full year after launch.